What a delight to see all the autumn flowering crocus appearing: I just love this time of year - these of course are the true autumn crocus. 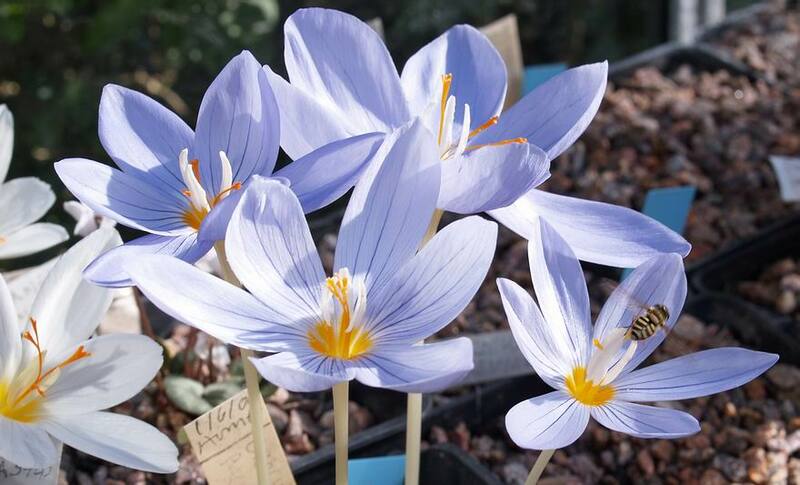 So often when we hear the name 'autumn crocus' it is used to describe colchicums which superficially have similar goblet shaped flowers but are easily distinguished. 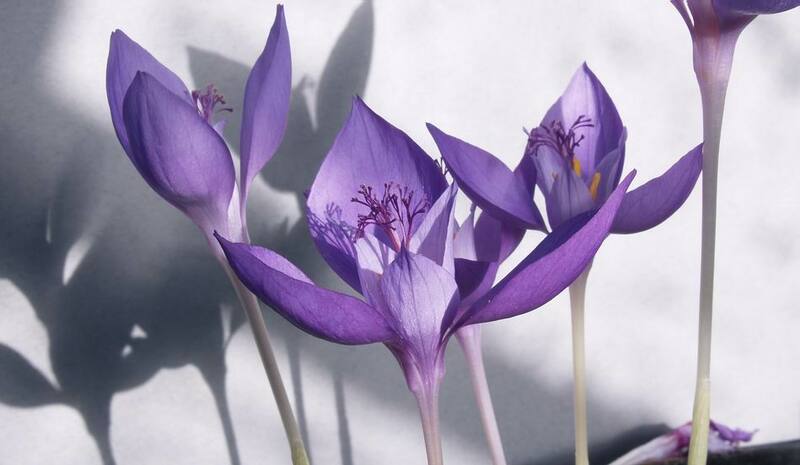 Colchicums are members of the family Liliaceae and have three styles and six anthers while Crocus are in the Iridaceae and so have three anthers and a single style which may divide into three or more branches. There has been much discussion over the years on the Forum about how the same bulb can have vastly different flowering times depending on where it is growing and we all know that there are many factors involved. 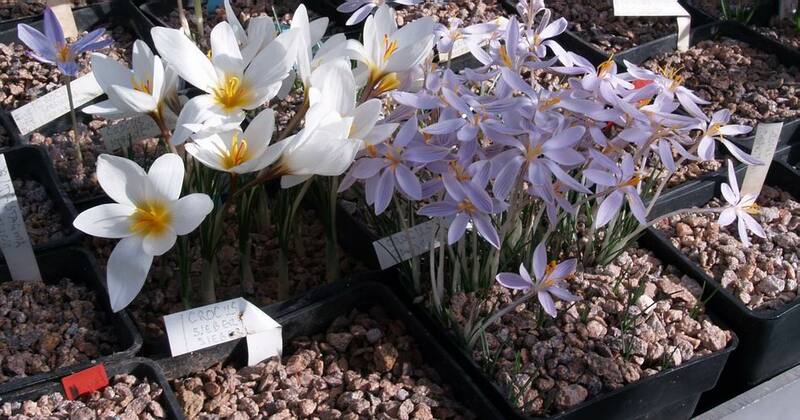 Look at this pot of Crocus cambessedesii; the bulbs in the back half are well into growth while those at the front are not through yet. If there can be such a variation in growth in a pot like this it should be no surprise to us when we see weeks or even months of difference from country to country. Why is there this big difference in this pot? I believe that it is because this is the last pot in the plunge and the nearest edge of the pot is exposed to the sun so it gets warmer and hence comes into growth a bit later. Here it is again this week with one half in full flower while the other half is just coming through the gravel now. 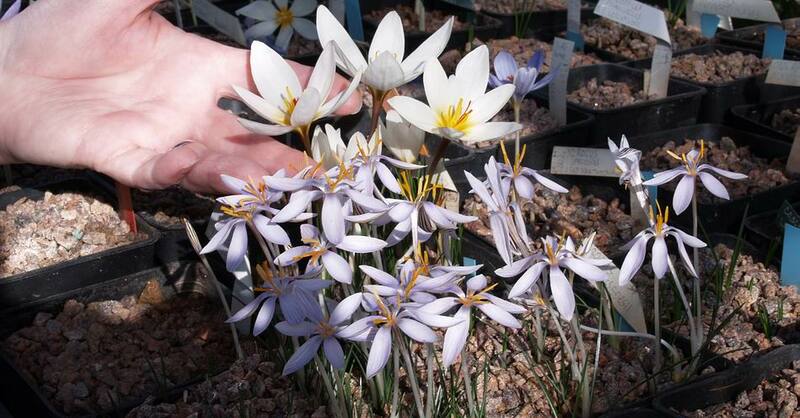 I would say that Crocus cambessedesii is one of my favourites but I say that about most crocuses so I will refrain. But it is a real wee charmer with its small wide open lilac flowers, sun-worshipping on top of a forest of striped tubes. 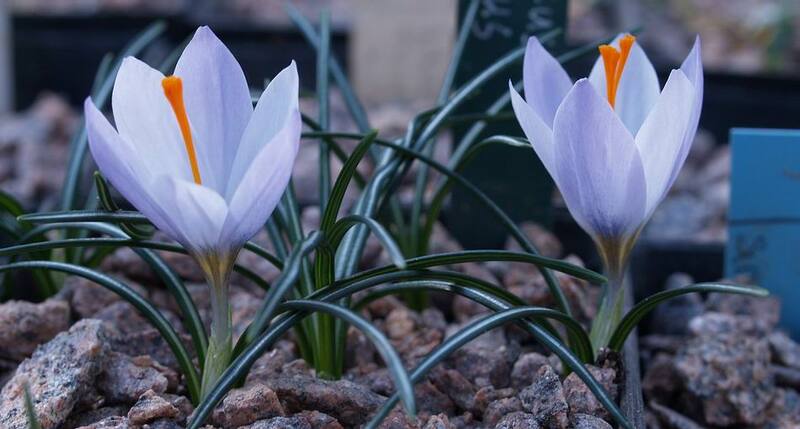 Crocus cambessedesii is native to Majorca and Minorca and so is best grown under glass in the Scotland. 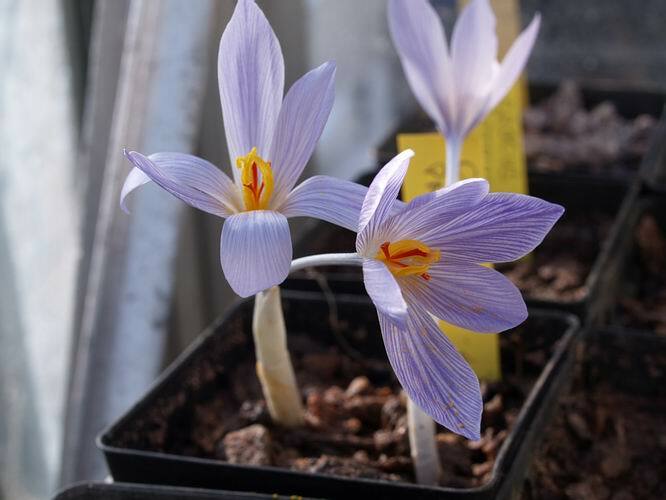 To give an idea of scale here is Crocus hadriaticus with a normal sized crocus flower and cambessedesii. 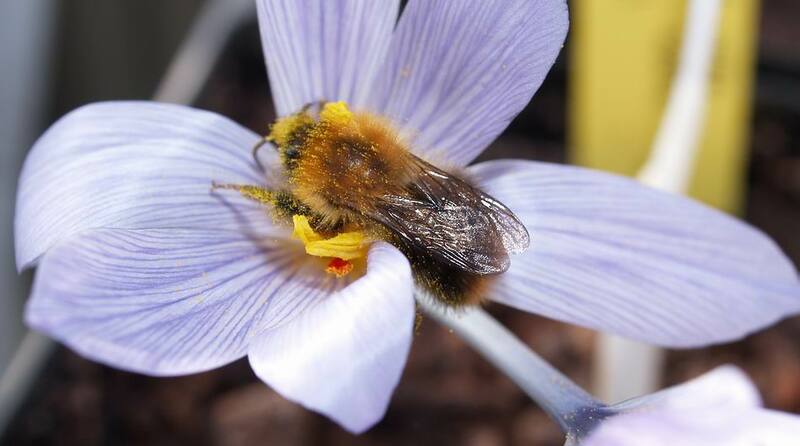 There are a number of interesting colour variations of Crocus hadriaticus but none have been given as sub species by Bran Mathew as all the variations can be linked by intermediates. 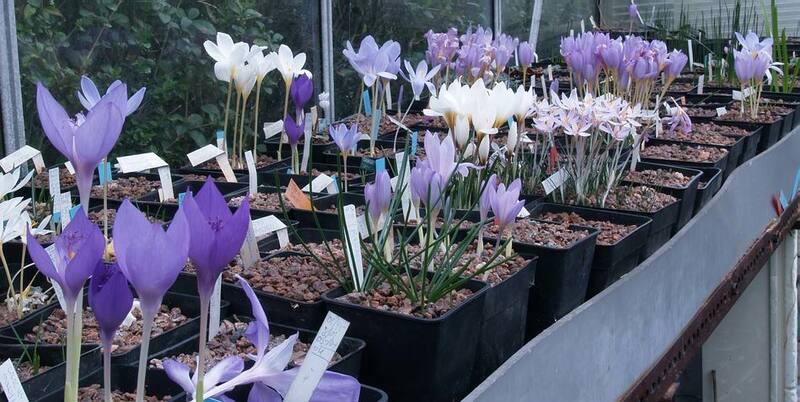 The most common variation seen in cultivation is the colour of the tube as you can see in the forms above. 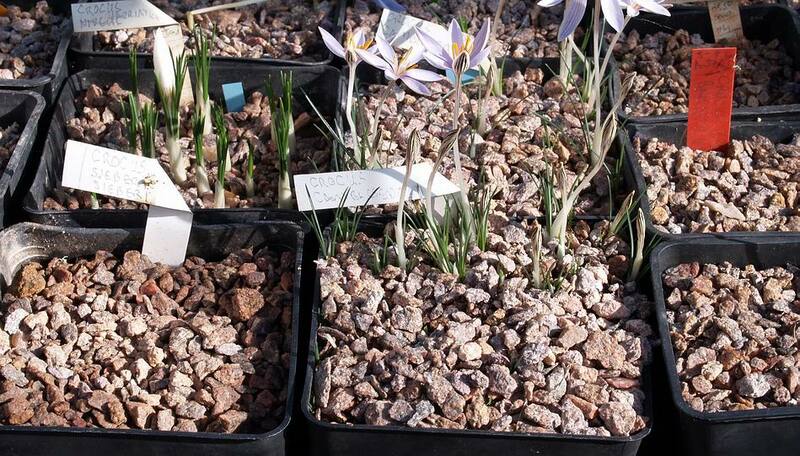 From the left I got these from Tony Goode, Bulb Exchange, Gothenberg Botanic Garden and Anne Wright. Have you ever wondered why some Crocus flower in the autumn: I do all the time. When you think about it they are very well suited to flowering in the autumn because the most important part of the flower remains under ground until the spring. It is just the floral tube that pushes the flower above ground to attract pollinators the ovary stays under ground until the scape eventually extends in the spring pushing the seed capsule upwards. I think the answer is, as so often is the case, right in front of our eyes - there are many pollinators around in the warm sunny autumn days. 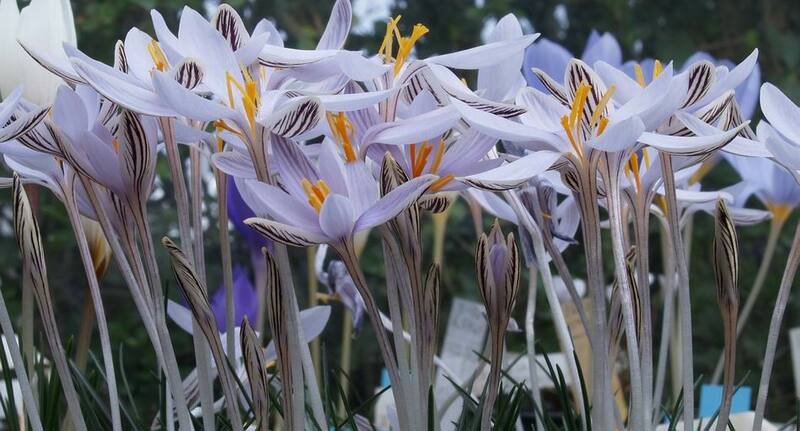 It is for that reason that I believe many beautiful flowers like Crocus pallassii make their display in the autumn. It is the early flower that catches the bee. 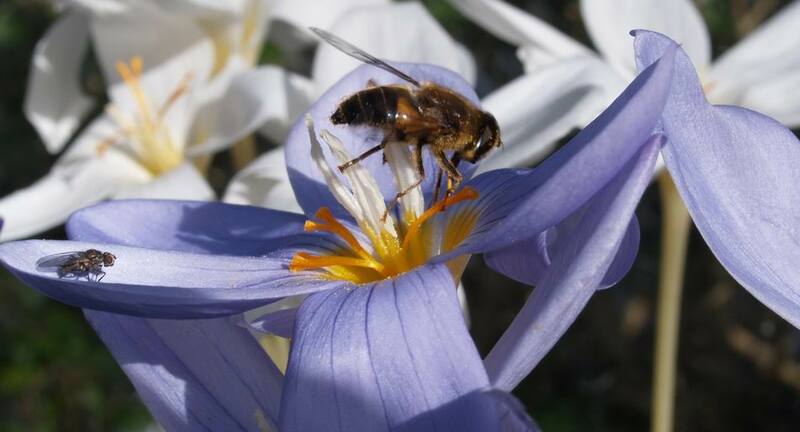 In some regions it would be a distinct advantage to flower in the autumn when many more pollinating insects are still active rather than the early spring when few may have emerged from their winter state. 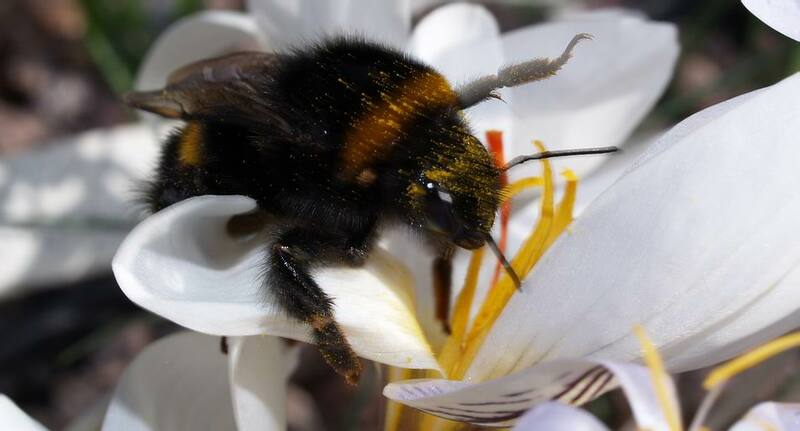 While the large bumble bee is not ideally suited to landing on some delicate crocus flowers which bend and get battered by this heavyweight's clumsy foraging, the bee does fulfill the flowers' need to get pollinated. This got me thinking about the very wide variations in the size and shape of the styles on crocus species and how efficient they might be. 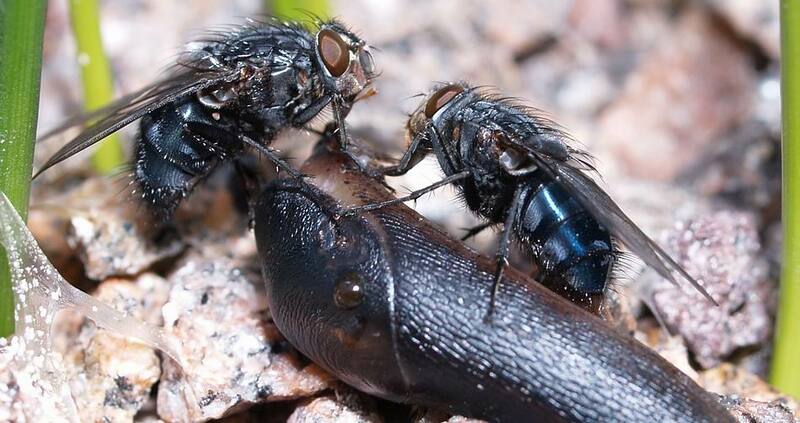 Have some of them evolved in partnership with a specific insect while others have evolved a more general catch all strategy? It is very difficult to work this out in cultivation where many of the insects around may be different to those in the plants' native habitat but there is a good Phd. project there for some one that wants to sit on a Turkish hillside for days on end . 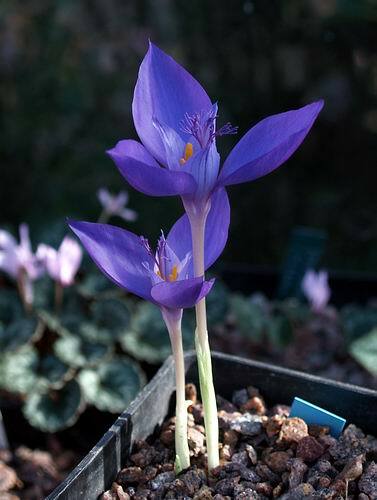 This is a very dark form of Crocus banaticus that I call the Romanian form - I know that all Crocus banaticus originated in Romania but this one was raised from wild seed as opposed to most of the stock we have which is all raised from seed from cultivated plants. 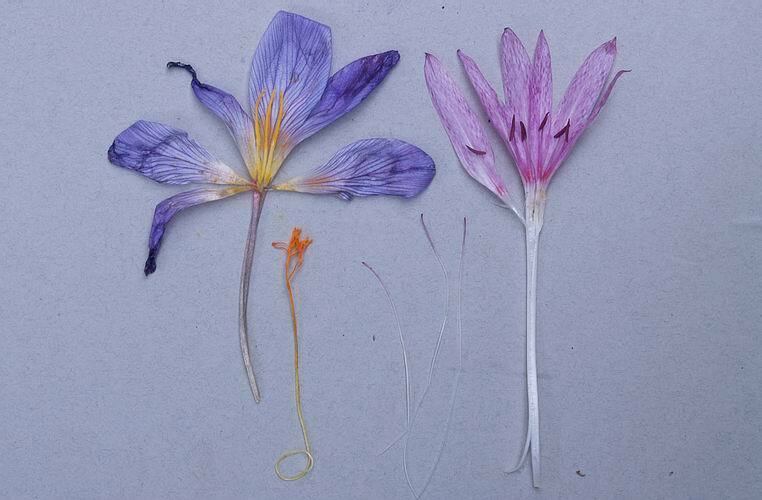 Here are a few of raised from our own garden seed and they show the feature that makes Crocus banaticus unique among genera - the inner three floral segments are much shorter that the outer three. Crocus banaticus is also the only crocus whose anthers open introrsely: that is they open in towards the style - all other crocus open extrorsely or outwards. In addition look at the very flamboyant much branched and divided style. 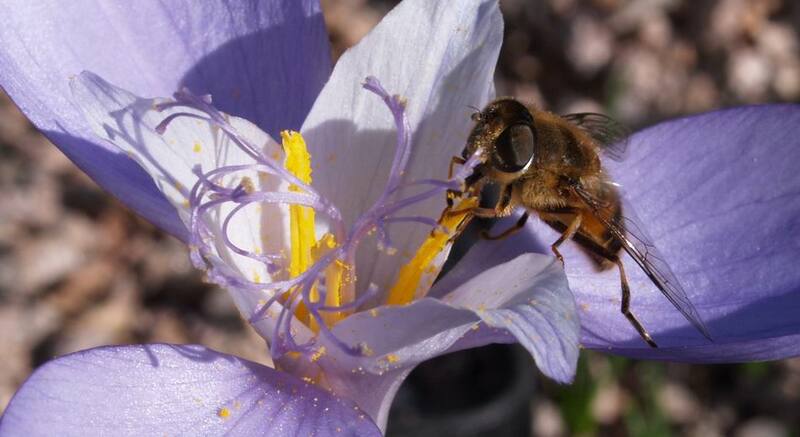 How efficient is that - it would be virtually impossible for an insect to get to the pollen with out coming into contact with a part of the style. I now have to spend my time wondering why it has evolved this shape of style - is it just super efficient or perhaps in the wild it is pollinated by very small insects? Another fact that occupies my mind is why are there no autumn flowering Fritillarias when there are autumn flowering species of crocus, narcissus, galanthus, cyclamen, etc… I suspect it is all linked to how the bulbs have evolved along with insect pollinators. In our bulb house fritillaria mostly attract wasps and flies and there are not too many wasps around at this time of year so there would be no advantage to autumn flowering fritillaria. Certainly on sunny days our bulb houses are full of all sorts of bees and hover flies and other insects that are not necessarily attracted by the flowers - these flies are more interested in a dead slug on the gravel of a pot. I always carefully place a few slug pellets around the pots at this time of year to get the odd slug and snail that has wandered into the bulb house before they get chance to multiply. 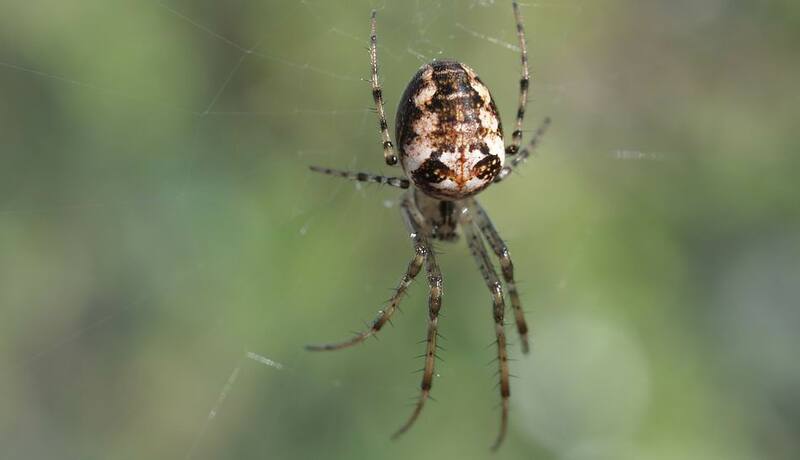 The first sensation that I often get when I am attracted into the bulb house is that of spiders webs on my face and head - Maggi is not too keen on this, which is why she keeps a respectful three paces behind me. Despite having their webs damaged most days the tenacious wee beasties just keep try, try, trying again and they must be well rewarded. 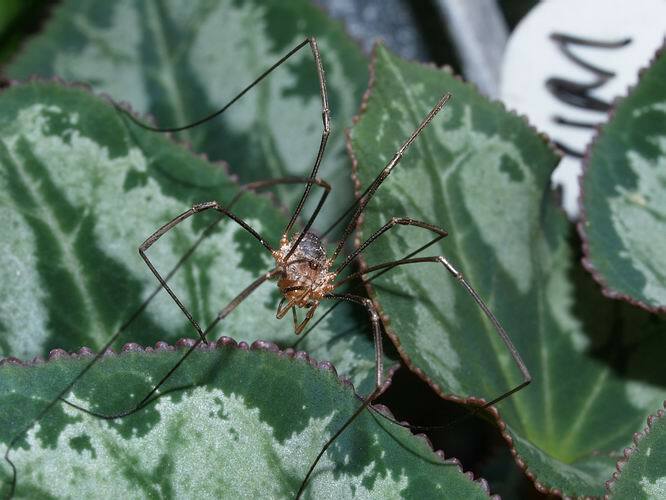 As well as the web making spiders I often catch sight of the long legged hunting spider - now that really gives Maggi the heebeegeebees - I am sure some one will give me a name for this superb creature.